This Owasso, Oklahoma hotel offers a business center, hot continental breakfast and indoor pool with whirlpool. All rooms feature a 32-inch flat-screen HDTV and downtown Tulsa is a 20-minute drive away. Owasso Hampton Inn offers a work desk and coffee maker in every room. In-room media includes free Wi-Fi, cable TV and pay-per-view movies. Guests can visit on-site convenience store or arrange reservations at the concierge desk. Hampton Inn & Suites Owasso also offers a gym and laundry facilities. The Tulsa Zoo and Tulsa Air & Space Museum are both a 15-minute drive from this Hampton Inn Owasso. The Tulsa Convention Center is 20 minutes away. 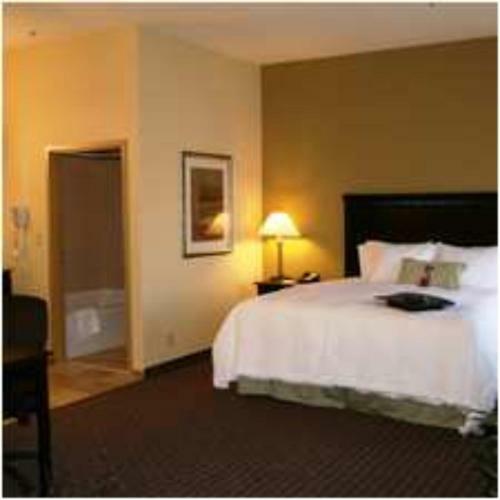 the hotel Hampton Inn & Suites Owasso so we can give you detailed rates for the rooms in the desired period.